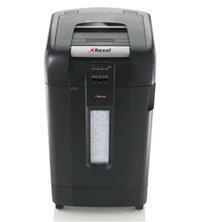 Earlier this year, Rexel’s Auto+ range of automatic shredders won the ‘Technology Product of the Year’ in the European Office Products Awards (EOPA) 2013. 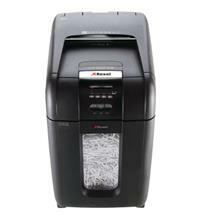 The award recognizes truly successful office products and is testament to this innovative range of automatic shredders. The Auto+ comes in a number of different model sizes capable of shredding between 60 to 750 sheets per load, dependent on which version you opt for. Rather than manually feed the paper in sheets at a time, with the Auto+ you simply open the lid, insert the relevant number of sheets to be shred and then let the shredder automatically shred your documents. 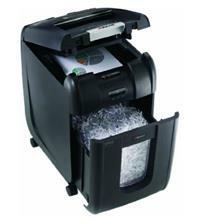 In addition, the shredder can also handle small staples and paperclips so you don’t need to spend time removing these before shredding. 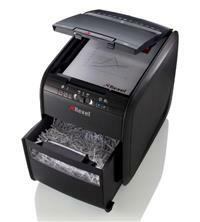 Due to the various sizes the Auto+ comes in, it’s suitable for both personal/home office use as well as large offices with high volume shredding requirements. 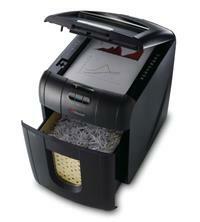 Extra features include a cool down indicator, reverse function and credit card shredding. 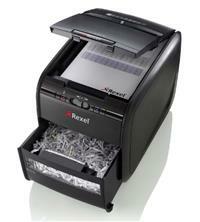 So if you want a shredder that is ‘truly stack, shut and go!’ check out Rexel’s Auto+ range.